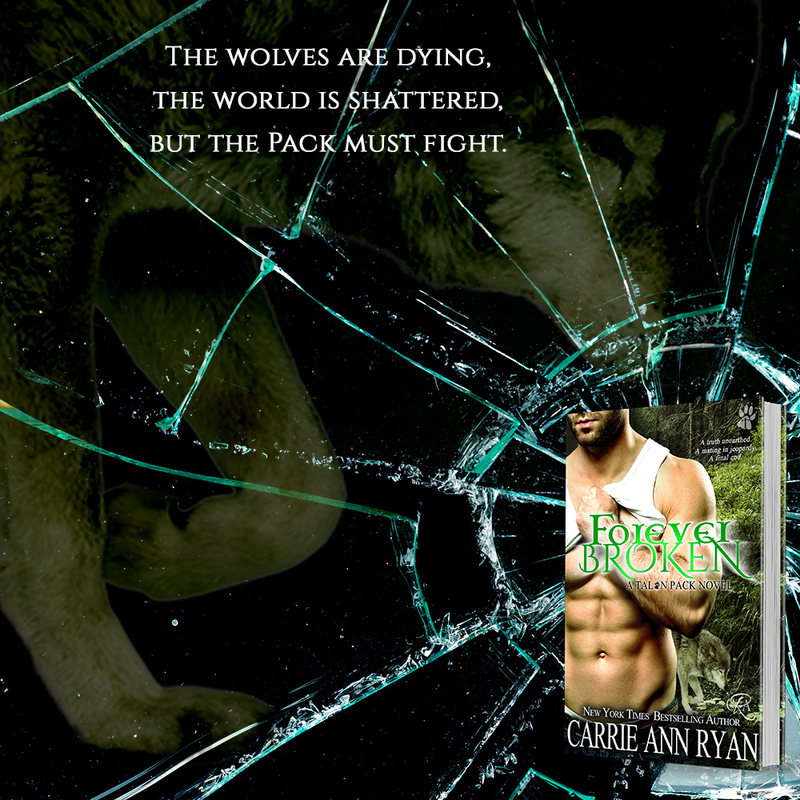 The final book in Carrie Ann Ryan’s Talon Pack series is available today! Find out more about it below and get your hands on it now! 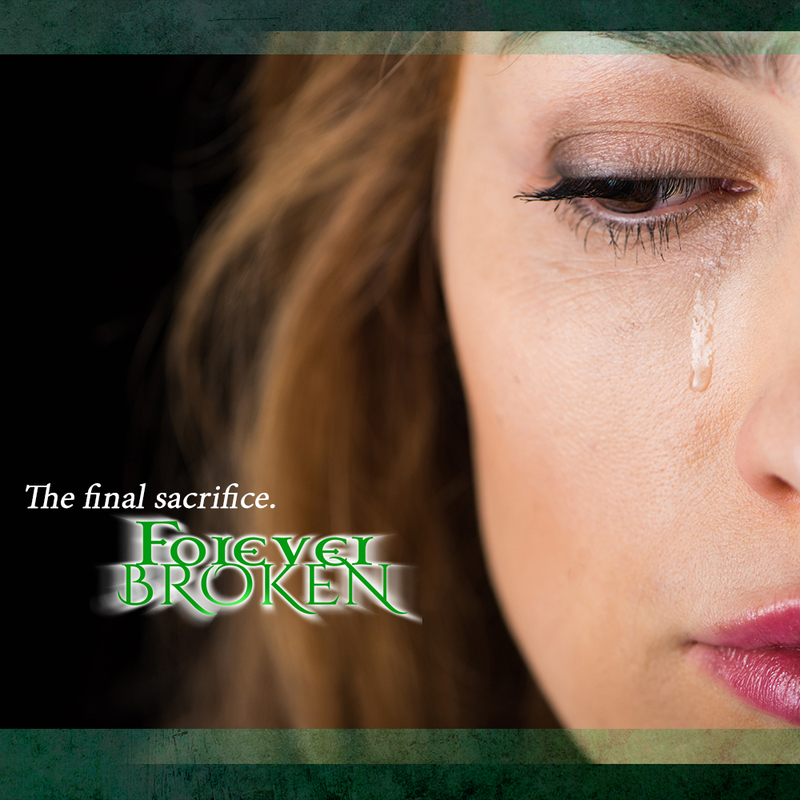 Get your hands on FOREVER BROKEN now! Her hands tightened on his shirt, and he froze. She just blinked at him, and the bond between them flared. He couldn’t feel what she was feeling, their connection was far too new for that, and he didn’t know what kind of bond they would share anyway. But the fact that her eyes widened told him that she felt the difference, as well. That was something they would have to work on. Somehow. Walker walked in, his pleasant Healer face on, even though Max knew that his cousin was worried about them both. Hell, the whole Pack was worried with war on the mind, and Blade’s announcement about being Supreme Alpha—whatever that meant—far too new for comfort. She shook her head, and Max frowned, a sense of disappointment washing over him even though he tried to ignore the cause of it. Sure, they might be mated, but neither of them had made the choice to do so. So the idea that he was sad that his mate was rejecting him shouldn’t hurt. They weren’t really mates. Or, maybe they were, but they didn’t know each other enough for the pain to make sense. And maybe Max needed time to breathe because he was thinking himself into circles. “I…I’m fine.” Max let out a low growl at the sound of the pain in her voice, and she froze in his hold, her hand still resting on his chest. She shook her head, then took a sip of the water Walker handed Max. She licked her lips, and Max did his best not to look at those lips. It was his wolf and the mating bond making him act this way, it couldn’t be anything else. Not when they were in this position because of something out of their control. She hadn’t had a choice in the matter and that meant there would be no acting on any urge. Max had a feeling none of them were going to like what she had to say. Max remembers the days that he was happy but all that changed the day he lost a battle and part of his arm at the same time. He may be part of the pack physically but emotionally he feels that he doesn’t belong and that no one would miss him if he wasn’t there. Cheyenne knows that feeling well. 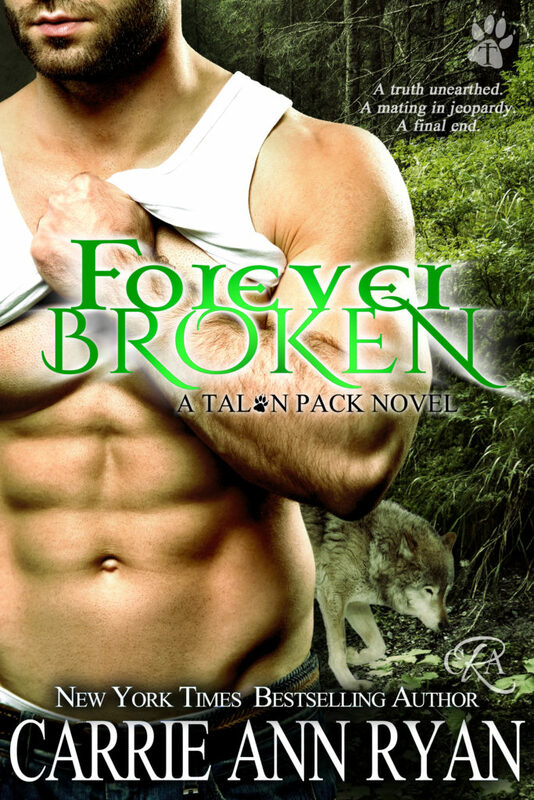 She has watched her friends find mates within the Talon Pack and in the process have become immortal. She knows that is only a matter of time before the differences in their lifestyles will cause a rift too strong to overcome. When fate throws them together will they find the other half that they have been looking for or will their relationship end with the threat? This is a romantic story about two people who complete each other. The story takes you on an adventure filled with suspense and twists and is a fitting ending to this wonderful series.